In 2010, Waterloo Region Housing was one of the first non-profits in Ontario to enact a smoke-free housing policy. In 2014, Ottawa Community Housing went smoke-free. This year, two ONPHA members will be launching their own smoke-free policies: Thunder Bay District Social Services Administration Board has announced a policy that will take effect Sept. 1, 2015. Hastings County will follow with theirs by the end of the year. Why are housing providers choosing to go smoke-free? What is a no-smoking policy and how is it launched? A no-smoking policy is a legal and enforceable clause in a housing provider’s lease that prohibits smoking in the unit, part of the building, the whole building or the entire property. Once a new tenant has signed a lease with the no-smoking policy, they are not allowed to smoke in their units or anywhere else outlined in their leases. Current tenants are exempt from this clause for the length of their tenancy, but they can choose to sign the new lease if they wish. If not, the housing provider will need to wait until their tenancy ends. Over time, the building will gradually become 100 per cent smoke-free as the smoking tenants leave or sign new leases. In Waterloo Region, which went smoke-free five years ago, surveys show that fewer residents are smoking in their units and some smokers are smoking less. Housing providers can eliminate tension during the transition period by clearly communicating the status of the building. This will ensure that potential tenants, both from the waiting list and market rent, know that tenants who signed leases prior to the policy may opt to smoke in their units. For more information on how to launch a no-smoking policy, please refer to ONPHA’s infoON entitled Smoke Free Multi-Residential Apartment Buildings. Member support question: When does a “guest” officially become a resident? We went smoke free Jan 31, 2014th and have a positive response by all existing tenants and incoming tenants. I live in an affordable housing unit – Region of Peel. I am literally sick of the smell of cigarette and marijuana smoke filtering into my apartment from hallways, under the cabinet sink in my bathroom from around the pipes, and also through the air conditioning system. Lying in my bed at night smelling & breathing it in as it filters in through the air conditioning system. 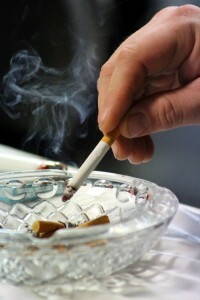 People can get cancer from second hand smoke. Is the housing provider going to give me my life back or my childrens if this happens. Something needs to be done to protect innocent people. What about the children in these units whose parents are smoking. As ususal though the culprits have more rights than the victims. Housing providers need to take a stand for the moral rights of innocent persons and stop being concerned about the reaction of these nicotine dipped cancer smokers.